Nice game, looks good and have enjoyable gameplay (played only 11 levels down). I don't know if it happens later but I would like to see enemies having multiple elements (like light+ice=crystal). Sadly it leaves the impression that it's gonna get repetitive pretty soon (with fighting and dungeons). Also found out that levels don't exactly build themself to be gone through. Happened at level 1 (new game) and then on level 11, gonna add the screenshot how it looks. Once I picked the first chest I can't go any further. If you want still to keep try the game, I'm gonna tell you a secret, in the map, press 10 times the "L" key, after that, whenever you get stuck in the dungeon just press "N" to jump to next floor. Hey @Vodun, thanks for playing the game and for your review. My initial idea was to implement multiple elements, unfortanetelly I couldn't develop this in time for the jam. Maybe in a new version I'm gonna do it. 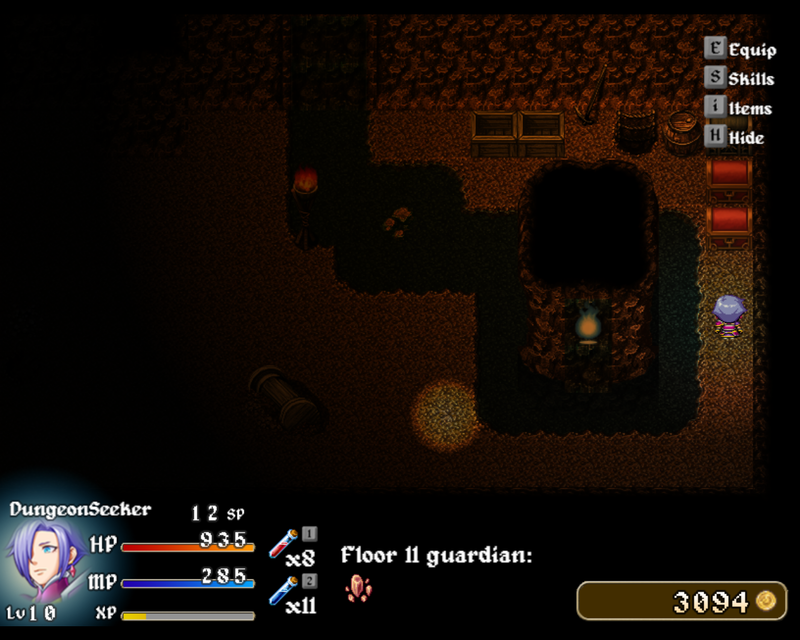 If you can, please send the screenshots, as the dungeon its kinda random, it's possible that this problem occurs.